Black Sabbath’s 1970 classic, “Iron Man”, provides the soundtrack to a Super Bowl 52 commercial featuring US snowboarder Shaun White. Since a disappointing fourth-place finish in snowboard halfpipe at the last Winter Olympics, White has been determined to get back on top and win his third Olympic gold medal this month in PyeongChang — a goal that's been consuming him for the last four years. White’s drive for success at the 2018 games continues following a serious injury while training last October in New Zealand that resulted in 22 stitches in his face and 62 in total. The snowboarding icon rebounded last month by qualifying for Team USA after scoring a perfect 100.00 at a U.S. Grand Prix event. Directed by Paul Hunter, White’s commercial is one of five 60-second “Best of U.S.” athlete spots that will air throughout Super Bowl 52 on NBC on February 4 when the defending NFL champions the New England Patriots take on the Philadelphia Eagles at U.S. Bank Stadium in Minneapolis, MN. 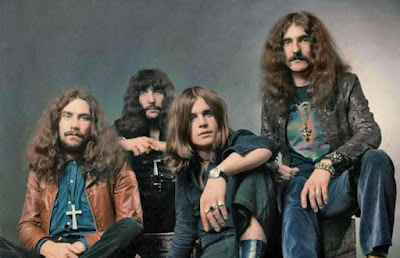 “Iron Man” was the second single issued from Black Sabbath’s sophomore album, “Paranoid”; the track reached No. 52 on the US Billboard Hot 100 while the album peaked at No. 12 on the US Billboard 200 on its way to US sales of more than 4 million copies.